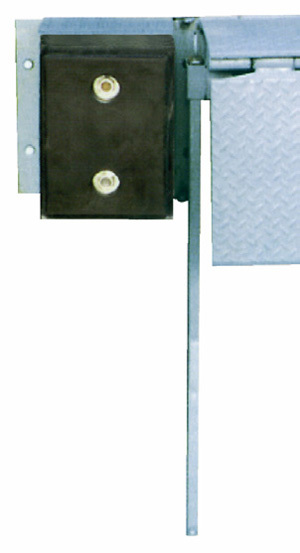 Edge-of-dock dock levelers attach to the face of your dock eliminating the need to cut a custom pit. These levelers are built to spec utilizing a simple and time tested design which results in value, function and operation that you wont find in other edge-of-dock levelers on the market today. 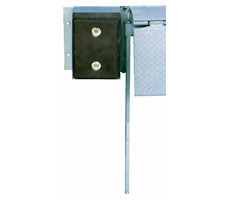 These mechanical edge-of-dock levelers are lifted and lowered smoothly and easily with an activating lever. Together with a torsion spring mounted under the deck, this results in very little effort required to operate the leveler. Grease fittings along the length of the lip hinge allow for easy maintenance. Simple, reliable torsion spring operation. 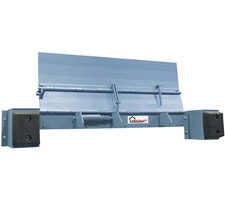 Safe, Convenient bar lift design allows the leveler to be easily tilted back and then forward onto the truck, eliminating heavy pulling & pushing. 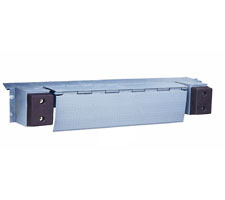 Lag Plate option included for installation on docks with no metal edge. This manual low profile spiral stretch wrap system is a great economical solution for your wrapping operations. A truly economic way to handle dock operations. These mechanical units are perfect for most small businesses. I shopped around a lot and found these the best value. Shipped quick, installed easy and is working like a charm. I recommend this product to any contractor or business Owner that is planning on installing dock leveling equipment. This product will exceed your best expectations. It is much more cost effective to install, and it is easier to operate than the standard manually operated dock leveler. *10 Stars* -Chad Higgens, Dir. of Operations. As an installer of these levelers i installed two of them on my dock for the eas of operation. So far they are working great. I think I will be happy with them for years to come. We used these to replace the heavy dock plates we were using. 1 person can easily use them. I think they are a much safer option than dock plates. I would recommend these to anyone simply because they are a much cheaper alternative to a full-fledged dock leveler. You don't have any pits to pour like you normally do with most levelers. With these you just bolt them on the edge of any dock and you're up and running.